German automaker BMW is revising its vision on its future hydrogen fuel cell vehicle. The company has been showing interest in clean vehicles for some time, and has produced several battery electric vehicles to accommodate consumer demand. As fuel cells have become more efficient, many automakers have begun using these energy systems to power a new generation of vehicles. Developing these vehicles has been a difficult endeavor for the auto industry, however, which has lead to many companies working together to tackle various issues. 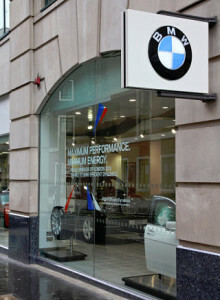 BMW will reportedly be using the fuel cell powertrain developed by Toyota for its new fuel cell vehicle. This represents a new joint venture between the two companies, which is meant to lower the development costs associated with developing fuel cell vehicles. This is one of the latest cooperative arrangements that automakers have made on fuel cell vehicles. Many of these agreements are focused on cost reduction, while others have to do with improving the hydrogen infrastructure in many parts of the world. When BMW’s new fuel cell vehicle will be released is still unknown. The company is working to ensure that its new vehicle will be able to compete with those coming from other companies in the auto industry. Mercedes-Benz and Audi have plans to release new fuel cell vehicles within the next few years, but BMW may not be prepared to launch its own vehicle within the foreseeable future. The release of this vehicle may depend on whether or not BMW and Toyota can reduce the production costs of fuel cells. Another issue that could have a major impact on the release of fuel cell vehicles is the lack of a working infrastructure in most parts of the world. A hydrogen infrastructure has yet to form in most of the auto industry’s favored markets, which means that fuel cell vehicles have very limited access to the fuel they need to operate effectively.